The Oconomowoc Rotary Club is funding a grant to help build the Interurban Trail between Oconomowoc and Watertown. The Trailhead has been built! Since it was built it has raised awareness for the trail. Over $600,000 has been raised so far. The first phase will begin construction this fall. 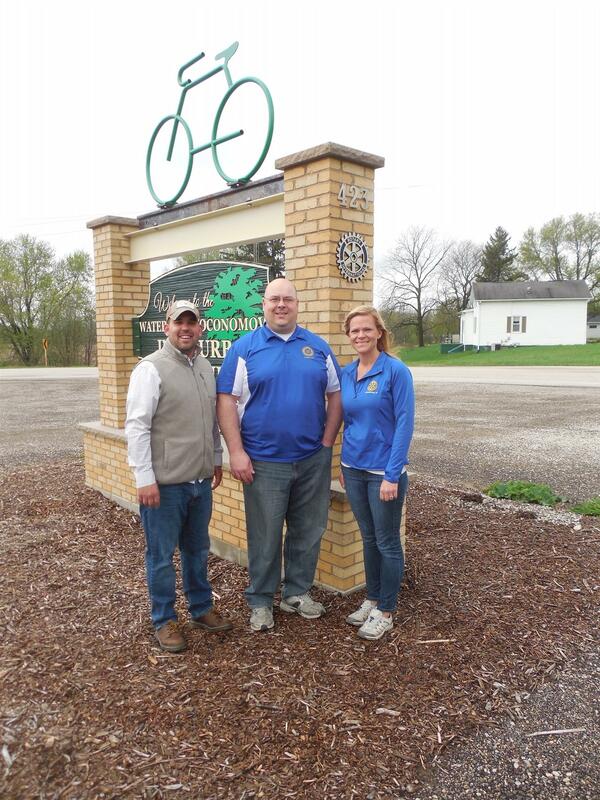 Tom Pasch and Sarah Butz of Oconomowoc Rotary are pictured with Matt Zastrow from the Watertown Rotary club.